These shells are a byproduct of the seafood industry. 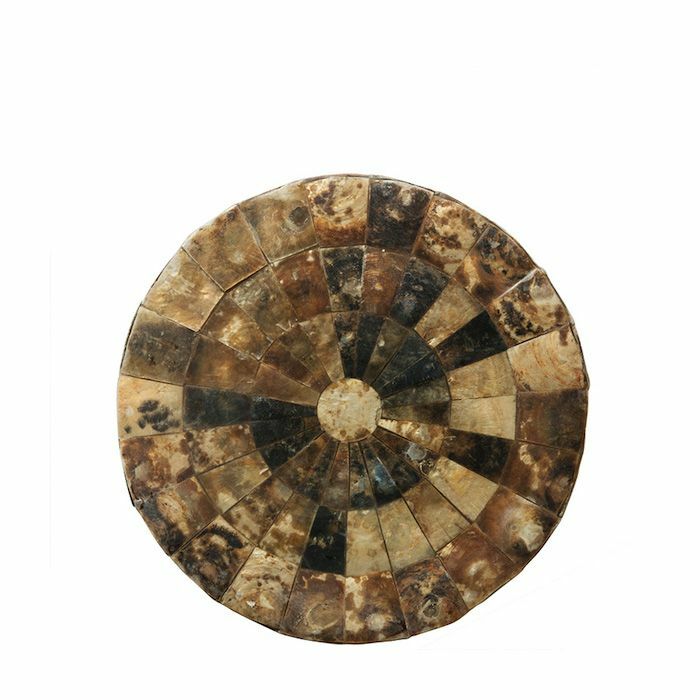 The stool is handmade by local craftsmen. 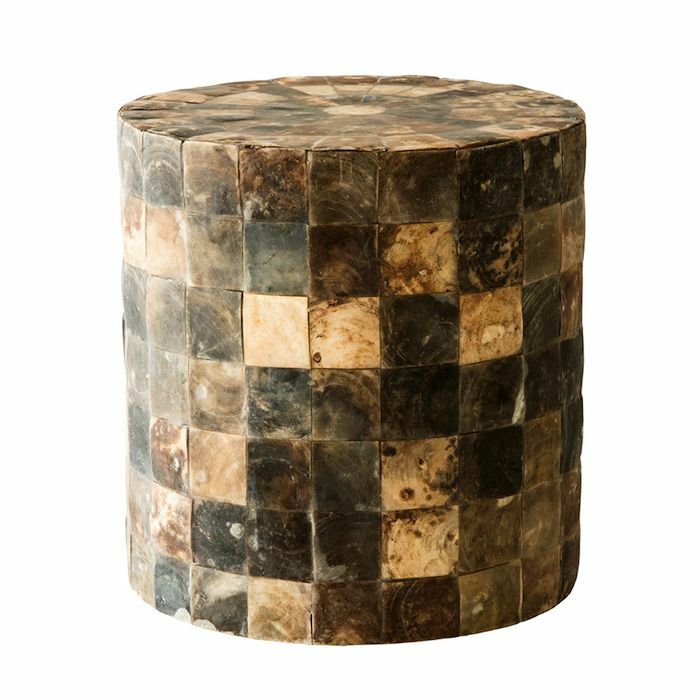 Add extra seating to any space with this occasional stool.